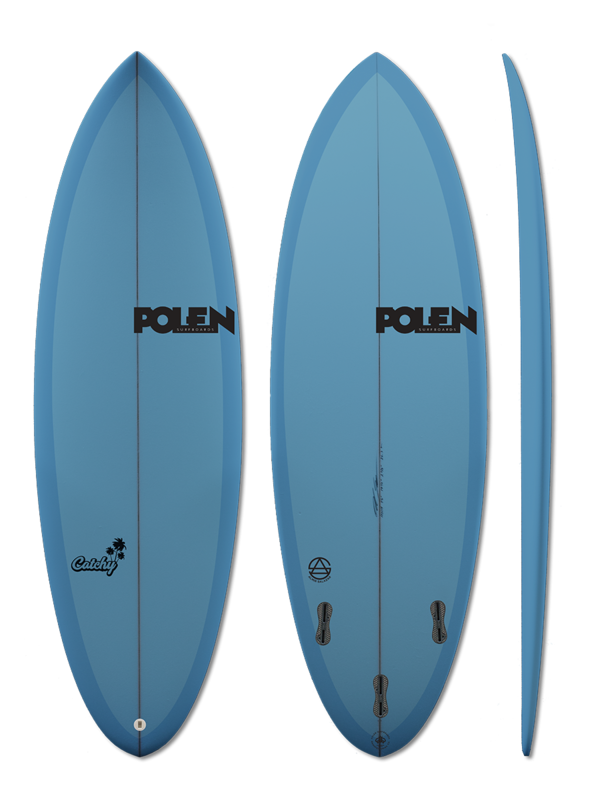 This model was designed for surfers who are not just frothing for high performance moves, but still want to surf good and have most fun in everyday surfing conditions. The wider nose, flatter rocker, and thicker rails will help you get into the waves very easily and flow through the weaker sections. The smooth round- ed outline and the narrow rounded pin tail will allow you to make rail-to-rail game whenever you want. The Catchy is a versatile, fast and loose fun stubby board that will make you happy either in good waves or weaker days as well. This can be your favorite all around board or your best travel friend for small to head-high surf. With a single to smooth double concave with V off the tail, we recommend a 5 fin setup, and you can ride it 2"-4" shorter than your short- board.